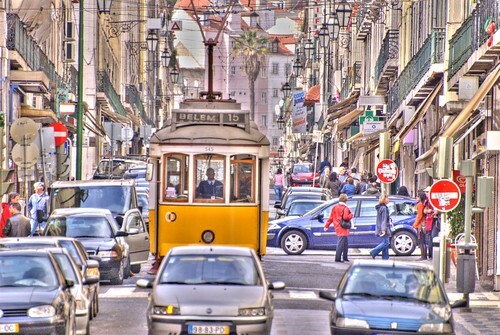 Lisbon Street / Calle de Lisboa, originally uploaded by victor_nuno. Full of life are the streets of this nice city. Even though it seems that there’s traffic, I always saw such a great education from drivers! I think it contributes, or it is as well, part of that special charm in the city. Llenas de vida están las calles de esta bonita ciudad. Aunque parezca que hay tráfico, siempre note ¡tan buena educación en los conductores! Creo que contribuye, o es también parte de ese encanto especial de la ciudad. Uploaded by victor_nuno on 7 Apr 07, 12.39PM CEST. Share this amazing photo in "Destinations around the world" group. Join us NOW! Hi! I am the admin for this group. I would like to have your photo in the group’s pool. And you should take part in our "Lisbon" contest..